But retirement is not what it used to be, with more of us working longer to build up our decided retirement income. So it’s essential to reassess how much you’re saving into your pension if you want to make your own vision a reality. For many people, retirement may seem a long way off, and saving into a pension isn’t always a top priority. But the simple truth is the earlier you start, the easier it will be. If you have less time to invest, then the amount of money that you have to save is likely to be higher to make sure your retirement planning is on track. We’ve provided some ideas to help improve and boost your savings for a more comfortable retirement. Working out what pensions you already have should be a starting point for your retirement plan. Locate the latest statements you have for all your pensions, including from previous employers and personal pensions. You can also get a forecast of your state pension via www.gov.uk/check-state-pension. You should be sent an annual statement for each of your pension schemes, including any employer-based arrangements and personal pension plans, even if you are no longer contributing to them. If you don’t have up-to-date statements, you can ask for these to be sent to you. You may also be able to access pension values online via your pension company/scheme website. As well as telling you what your pension is worth now, annual statements will also detail what your pension might be worth at retirement. These forecasts (don’t think of them as anything more than rough estimates) will be based on a range of assumptions including investment growth and inflation between now and retirement. It is important to consider the effect of inflation because, over time, this can significantly reduce the spending power of your pension. Whether your pension will be enough to pay for the retirement you want will depend on the savings pot you amass, as well as the cost of your lifestyle when you retire. Working out what income you will need in retirement may not be straightforward, however. Your life in retirement will be different from your working life; some costs may go up, while others will reduce. You may spend more on holidays and leisure (especially in the earlier years of retirement), but your housing costs may be lower. While you may no longer have the costs of bringing up children, you may still want to help them financially, and there could be grandchildren to think of. In your later retirement years, you could have care costs. The traditional rule of thumb has been a target pension income of two thirds of your salary. Having accounted for the State Pension and any defined benefit scheme pension, you need to calculate how much money you will need to save to produce the remainder of your target income. This can depend on factors such as the age you want to retire, income yields available on investments, how much prices rise during your retirement and how long you live for – and how much you have put aside already. If you contribute through a workplace pension, your employer will also contribute on your behalf, and you could qualify for National Insurance savings using a so-called ‘salary sacrifice’ arrangement. Employer top-ups in particular can significantly increase the value of your pension contributions, so it is worth checking that you are making the most of any workplace generosity offered. It’s also important to be aware that there is a limit on the size of overall pension savings you can accumulate – currently £1.03 million (for 2018/19, and rising annually in line with inflation) – without facing a hefty tax charge of up to 55% on the excess. This Lifetime Allowance (LTA) for pensions could also be a challenge for people whose retirement savings are currently less than £1 million, as well as individuals with sizeable final salary pension entitlements. Investment growth and ongoing contributions could lead to your breaching the LTA in future. Pensions are not the only way to save for retirement. Tax-efficient Individual Savings Accounts (ISAs) are a popular savings option, while many people see property – particularly in the form of buy-to-let – as their retirement nest egg. 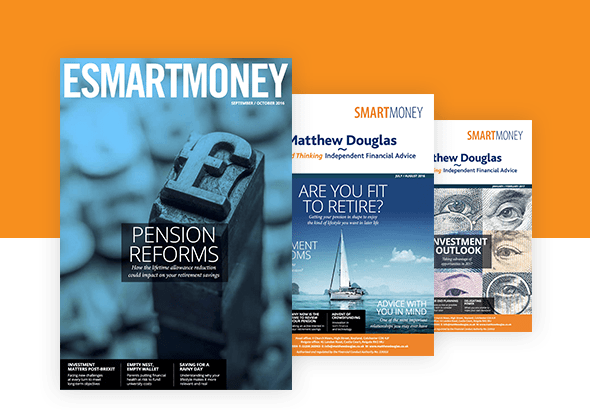 Pension freedoms have now given retirees considerable flexibility over how they draw an income or withdraw lump sums from their accumulated retirement savings. Pension savings can be accessed from age 55. You no longer have to purchase an annuity – an income stream for life – and you can choose how much income you take and when to take it. You could take your whole pension fund as cash in one go – with 25% being tax-free and the rest taxable. Other options include taking a lump sum now, with further withdrawals when you want, or an ongoing regular income (via so-called drawdown or an annuity). However, the danger of these pension freedoms is that people withdraw too much money too quickly and risk running out of money before they die. It is also possible to pass on your pension savings completely free of tax. So, as well as being a tax-efficient way to invest, pensions can be a very useful way to reduce Inheritance Tax bills. Too many people fail to seriously consider how they are going to manage financially in retirement until they are about to retire. It is only then that they discover that their pension is not on target to meet their retirement aspirations. When you are living a busy life, it can be difficult to find time to consider your long-term plans. Your mortgage or your children’s education might be more immediate financial priorities; your career or running your business can make more pressing demands on your time. However, getting your pension on track as soon as possible could save you and your family a financial headache later on. Another reason to take advantage of existing pension tax breaks is that there is no guarantee they will be there in the future. The Government has already cut the annual allowance to £40,000 – and as little as £10,000 for very high earners – while reducing the lifetime allowance from its £1.8 million peak in 2011/12. Higher-rate Income Tax relief on contributions could be next, so it makes sense to make the most of what’s on offer now.